Well, this dropped two day ago (13 October 2015) to be exact, barely two weeks after T1 WeMa1's Inzwa dropped. Another #teamREHAB album is upon us ladies and gentlemen. It's been getting positive reviews and amassed over a 1000 downloads in a single day. It's being hailed as the album of the year. If you're expecting my thoughts on it you're going to have to wait a bit longer, for now just indulge in this project, from a youngin that even Begotten Sun co-signed. Seriously. I don't understand why @263Mile is being slept on. This kid is just NIIIIICE. He ain't #ZimHipHop even he's just HIPHOP period. 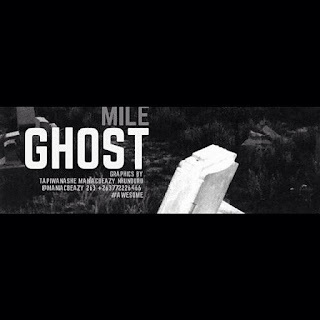 Stream and download Ghost below, I'll be back with my review of this project.